Columbia’s arts core is shifting to a new frontier. 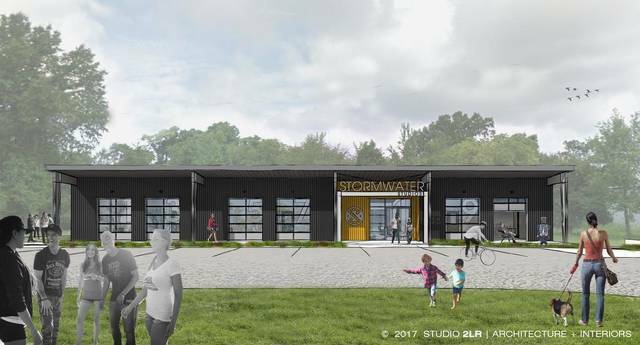 At the fringe of the Vista, along the slowly developing riverfront, the long-awaited Stormwater Studios artists village is about to take off – quickly. Ten Vista artists will move there early next year. They’ll lay the groundwork for a movement that could mirror the exciting transformation of the Vista core over the past two or three decades. This riverfront stretch just off Huger Street could become the Vista 2.0. 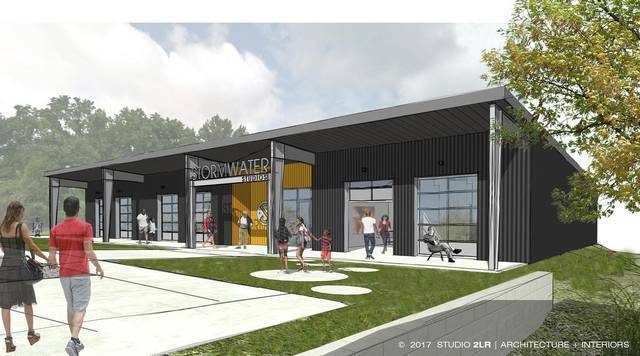 “It will be a destination location for people, and hopefully this will create additional buzz and development around it,” said Fred Delk, director of the Columbia Development Corp., which owns and is developing the 1.5-acre property off Huger and Pendleton streets, near the One Eared Cow Glass studio, where Stormwater Studios will sit. The planned complex of three industrial-style buildings will house artist studios, workshop spaces and possibly living spaces, Delk said. The project has been in the works for at least a decade. Not just a working space for artists, the Stormwater complex is designed to draw in the public. Expect interactive outdoor space and room for events and parties, a sculpture garden and a trail along Kinsler creek, which feeds into the Congaree River. Future plans for the city to extend its riverfront trail and the long-held concept of a 74-acre riverfront park could eventually easily feed into Stormwater Studios’ site. And there are plans to extend Williams Street with money from the Richland County transportation penny sales tax, which would open up more access to the site. Columbia City Council is expected consider whether to pitch in $200,000 toward the $800,000 first phase of the project, Delk said. With or without the city’s financial contribution, construction could start on the complex’s first building within the next month, Delk said. And the 10 artists currently working in Vista Studios on Lady Street will move into Stormwater in early 2018 and rent their studios from the Development Corp.
“What we really want to do is to keep this group, this art community, alive in the Vista. And it’d be really hard for us to do that without this project,” said Kirkland Smith, a visual artist and current leader of the Vista Studios artists’ group. The artists’ lease runs out in their building at 808 Lady St. at the beginning of 2018, and “for us to rent a building that we could all 10 move into, it’s really cost prohibitive now,” Smith said. Vista Studios, which opened in 1990, was a catalyst for the growth and development of the Vista as a full-on entertainment district, Delk and others say. With artists among its earliest inhabitants, the Vista transformed from a bland warehouse district to a lively hub of restaurants, bars, shops and hotels. There, artists played a role that’s typical in big cities: Creatives move into an underdeveloped, inexpensive area. More people and more activity follow, until the district is thriving. But, as popularity and property values grow together, artists tend to get priced out and pushed away – and that’s happening now in the Vista. Clark Ellefson was one of the first artists to settle in the Vista more than 30 years ago. And a little over a decade ago, he became one of the first to re-settle in the Huger Street corridor, once again a pioneer anticipating a wave of creative energy to follow eventually. His Lewis + Clark handmade furniture and lighting studio, along with the adjacent One Eared Cow, will be Stormwater’s neighbors. Unlike the typical pattern of artists’ migration into and out of gentrifying areas, the creative community will never get priced out and pushed out of the Stormwater Studios village, artists and planners hope and believe. It will be a permanent creative anchor for the future of Columbia’s riverfront corridor. “There will be many artists in the future that will be in this space, and each artist is going to bring their energy and ideas and creativity, and the space will continue to change and develop,” Smith said. All 10 artists currently working in Vista Studios on Lady Street will move to Stormwater Studios early next year.